Custom made, custom cut, bend and welded carbon steel. Usually we have less complex diy - projects. You know easy DIY project made out of carbon or stainless steel or aluminum. Most of the time it is a simple rectangle or square, triangle or circle. The 14 different shapes we offer and you can order them in the size and length you really need. After you have chosen the sheet metal kind, Aluminum, Stainless Steel or Carbon Steel, you select the surfaces / finish and the thickness. then you chose one of these forms. Based on the form of your choice you will be asked to enter different measurements. Enter the measurements you need and order. Well in this case our customer asked us to do something far more complicated for his DIY - project. 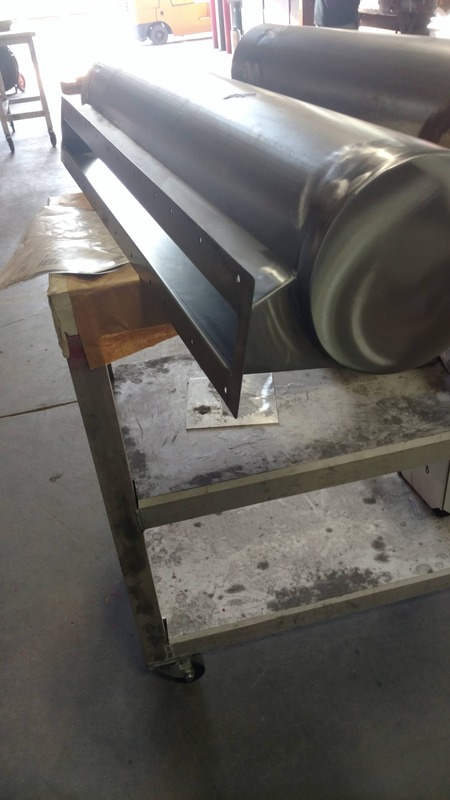 After evaluating the drawing we where confident to fabricate the metal to the final product the customer wanted us to do. He provided us with an detailed CAD drawing, specifying everything we needed to individually fabricate the metal exhaust. So the deal was on. 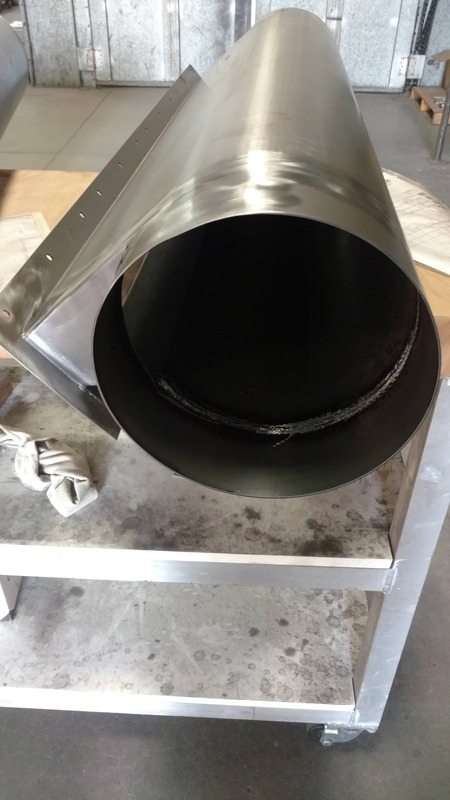 The carbon steel exhaust was to be fabricated from carbon steel sheet metal, first cut with an laser and then bend and welded to the specs the customer provided us. The project was a full success, hopefully the customer will agree to send us some pictures after the exhaust has been installed.